The New York Times ran a scathing story yesterday on the plight of family caregivers. They care for ones they love for free, while their own health crumbles. Everyone who reads this blog has or will be touched by this. Free caregiver services were valued at $450 billion per year in 2009—up from $375 billion in year 2007. At $450 billion in 2011, the value of informal unpaid caregiving exceeded the value of paid home care, exceeded total Medicaid spending in 2009, exceeded Wal-Mart sales ($408 billion), and nearly exceeded total expenditures for the Medicaid program in 2009 ($509 billion). 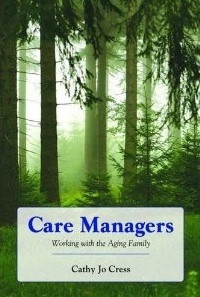 What is overlooked in the Times article is an answer to this issue a ‘caregiver assessment”. 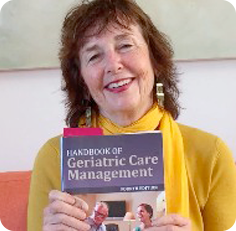 Handbook of Geriatric Care Management 4th edition out this fall, will have a new chapter on geriatric care managers doing ” caregiver assessments” and changing their life because, like Mrs. Swartz in the Times story, they are “NO Spring Chickens” and caring is harder on the caregiver than the care receiver.